Finding the best skills and experience for your business takes time and a lot of effort but what happens if your new staff are unable to settle in to their new role and island life? QRC provides corporate services for businesses seeking to relocate staff to Jersey, as well as for companies setting up a Jersey office. From a single professional to a senior executive with a family, we can assist at each stage to make the transition to island living as simple as possible. We are able to provide bespoke corporate relocation services as required, depending on the level of employee being assisted so you can manage your budgets and time as required. 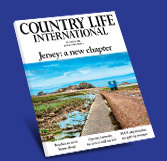 We often provide the link between a new employee and the HR function and provide comprehensive information about the reality of day to day living in Jersey. We also act on behalf of some of the world’s most reputable Relocation Management Companies providing destination services to their clients throughout Jersey.